The fans that never quit attend every game and serve as the much-needed motivation for the athletes when things get tough. 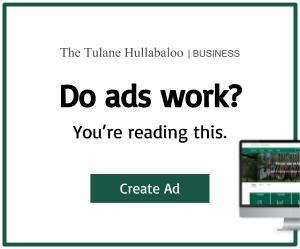 Soundwave, Tulane’s student-run pep band, are sometimes the only figures in the stands. Soundwave began in 1992 and over the years has grown into the success that it is today. With 41 members, Soundwave has grown in popularity, but it constantly seeks out new members. Traveling to both the men’s and women’s American Athletic Conference tournaments as well as the NCAA March Madness, Soundwave has been there for the good and the bad, from the devastating losses to buzzer beaters. Unlike marching band, Soundwave is solely a student organization from the leaders to the conductor. “During the [conference] tournaments, we were the only pep band with a student conductor,” junior Peter Cauthen said. Making Soundwave a student-run organization allows the participants more freedom. It also puts more pressure on the students, as they have to work alongside the athletics department, plan their own trips and ensure they are there to support our athletes. The absence of fans could be a deterring factor, but Soundwave makes the best of every situation while sticking to its mission: having fun. Having a full student section is ideal, but the band is more concerned with being there for the athletes. “We really try to support our players as much as we can, because I feel like they really deserve it because they leave a lot on the field,” Cauthen said. 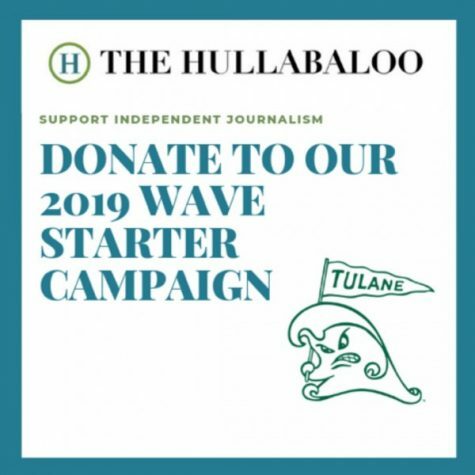 In an effort to get more students to the games and create a fun environment for everyone, Soundwave has spoken with Tulane Athletics and has even begun incorporating Fatheads into their routines as well as pizza deals. The massive heads of senior guard Louis Dabney and head coach Conroy dancing in the student section never fail to create an uproar of laughter. During the games, Soundwave pumps up the crowd, supports Tulane and tries to get into the heads of the opponents. Even when the seats of Devlin Fieldhouse are barren, the pep band acts as a support system that the athletes and the coaches can always depend on to help the teams fight through the difficult and trying games. “I have had players tell me that they are super happy that we are out, and I have had [women’s basketball head coach] Lisa Stockton say the same thing,” Solomon said. Most importantly, though, through the quiet games and the nail biters, Soundwave always has a great time jamming and spending time together. “We kind of have a great time regardless because we are pumping each other up, and we really enjoy each other’s company and being there,” Sullivan said. The acoustics of Soundwave will only rock Devlin a few more times this year, so make sure to see this spirited group and the sports teams it supports before these seasons end.